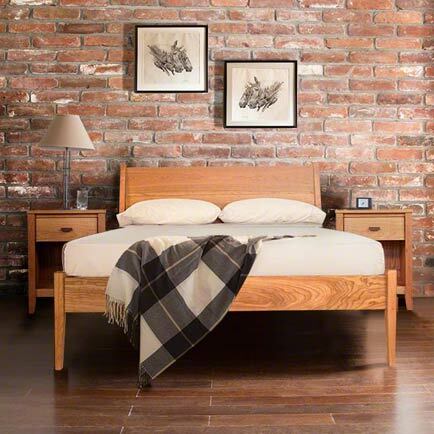 Born in an effort to protect the world’s rapidly disappearing wildlife habitats, Vermont Woods Studios provides handcrafted, custom wood furniture that is made sustainably right here in Vermont. We recognize and cherish Vermont's strong values of craftsmanship and sustainability, and we're doing our part to help spread those values across the country and the world. By raising awareness about the illicit practices of the existing furniture industry and promoting sustainable wood furniture, we hope to do our part in preserving one of our planet’s most valuable resources: the forest. We support independent, local artisans who create extraordinary items based on years of refinement. You can find Vermont’s top home decor through us as well, such as Anichini’s luxurious linens, Hubbardton Forge lighting and Simon Pearce hand-blown glassware. 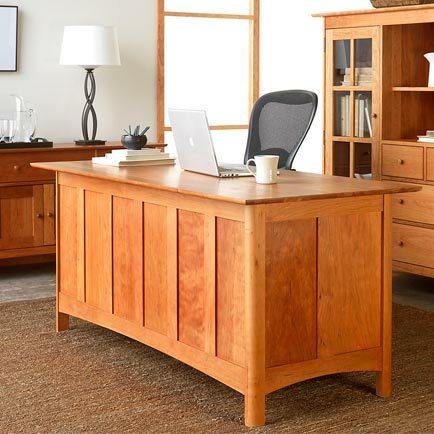 All of our craftspeople use eco-friendly wood sustainably harvested from local and regional North American forests. 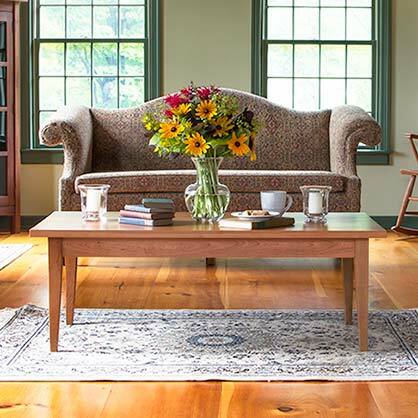 Our solid wood furniture is sourced from Vermont’s best furniture craftsmen: Maple Corner Woodworks, Lyndon Furniture, Copeland Furniture, Vermont Furniture Designs and several artisanal studios. 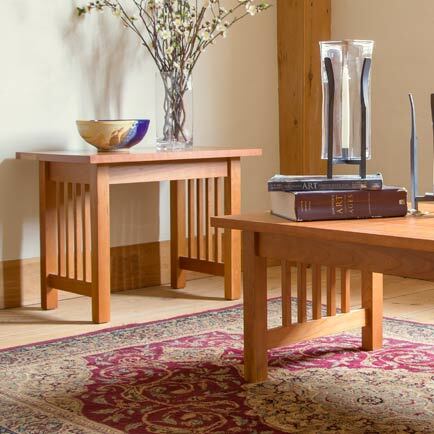 Because we are so confident in our pieces, all of our furniture comes with a lifetime warranty. 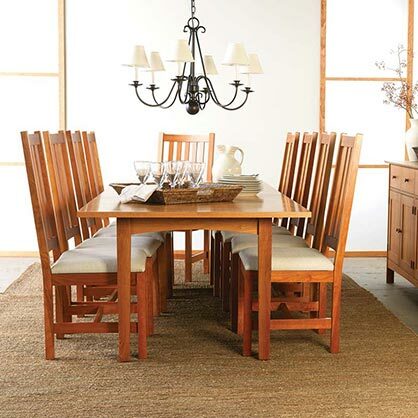 The craftsmanship we offer has been cultivated over centuries and passed down through generations. 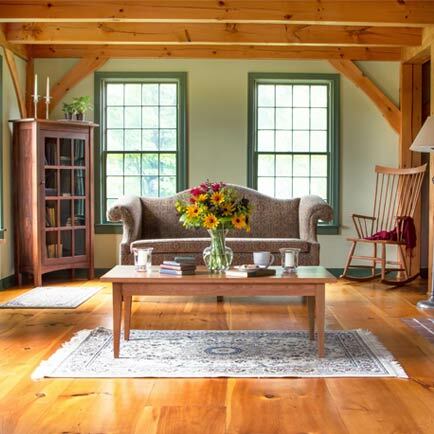 Family studios, apprentices and artisans in the Green Mountain State have been crafting wood products by hand for over 250 years. 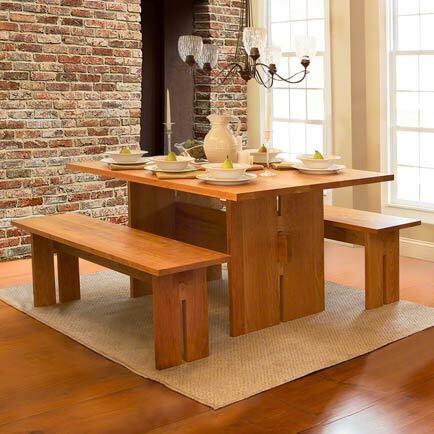 We proudly guarantee the craftsmanship and materials in our wood furniture for the lifetime of the original owner. 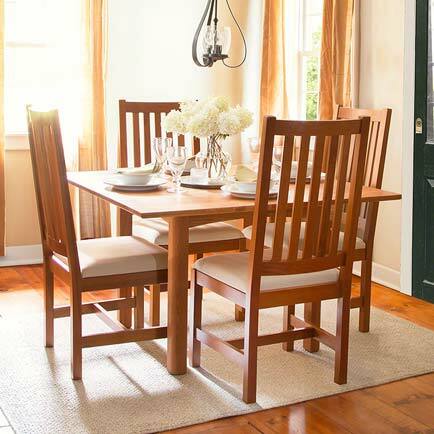 Should your wood furniture fail at any time during the life of the original owner because of workmanship or a failure of the wood materials, we will either repair or replace it at our discretion. All of our wood furniture is made to order. Your home is unique, and so are your needs and lifestyle. We match our furniture expertise with your vision to create custom furniture that is harmonious with your home and exactly what you need. "We had a wonderful experience doing business with Vermont Woods Studios. We are so delighted to find a retailer who shares our values in so many ways. It could not have been better. The furniture is beautiful, the delivery was meticulous. Thank you"
"I thought this was risky ordering furniture this way but everything worked out wonderfully. Fabulous customer service. Excellent quality. 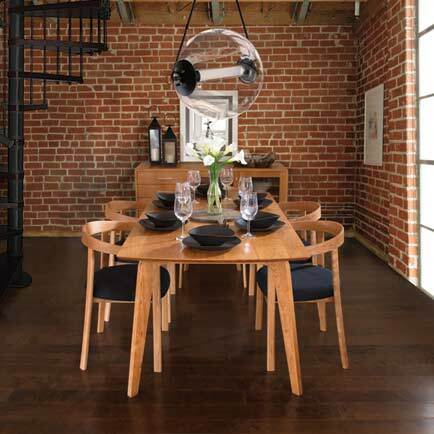 Cherry dining table and sideboard are beautiful. 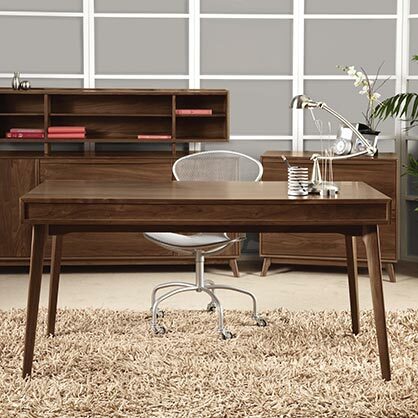 I have gotten tons of compliments on the furniture." 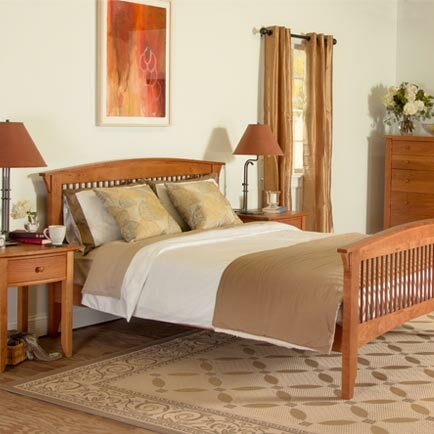 "We are extremely happy to have this beautiful furniture in our home. The table and chairs are works of art that we'll be treasuring for years to come. Thank you so much"
Cherry Moon Small TV-Media Console 49"